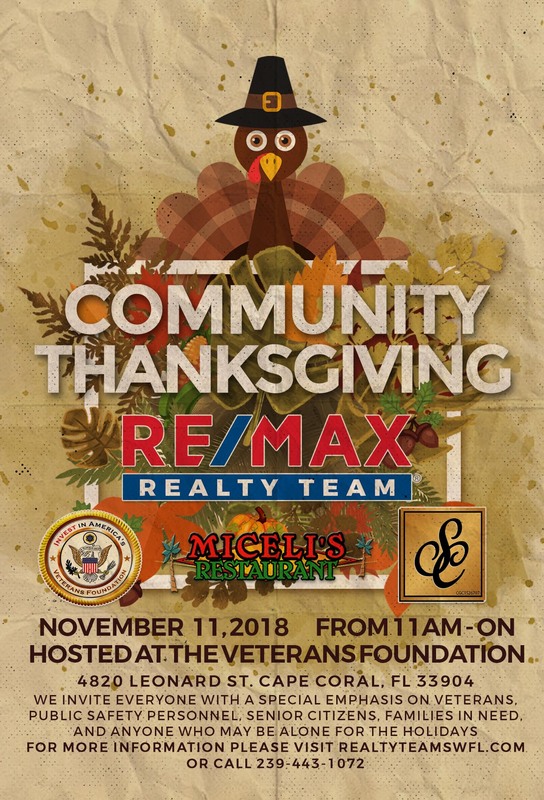 We welcome you to join us for our annual Community Thanksgiving Dinner on November 11, 2018 hosted at the SWFL Veterans Foundation, located at 4820 Leonard St. Cape Coral, FL 33904. We will begin serving at 11am. We invite everyone to attend with a special emphasis on veterans, public safety personnel, senior citizens, families in need, and anyone who may be alone for the holidays. For additional information please call (239) 443-1072.